We have just created a new feature that puts all your important notifications on a single page. 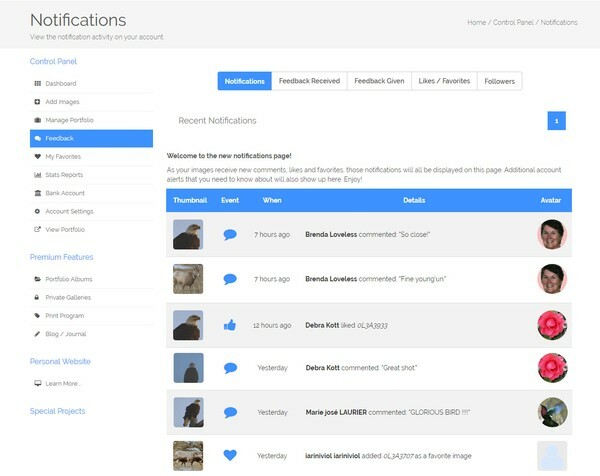 You no longer need to go to multiple places to see all your new comments, likes, favorites, followers and other account activity. The new Notifications page contains a list of everything that is happening to your ArtWanted account. You can access the new Notifications page from your Control Panel Dashboard or from the new header drop down menu on any page you are viewing. This new member drop down also contains a link to your portfolio and a quick link to logout. We hope this new page makes it easier for you to see what is happening on your ArtWanted account. We are glad you are enjoying the new feature, thanks. Thank you so very much from all of us in the artist community, for constantly updating your features and creating new ones! 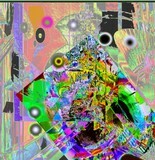 ArtWanted is a wonderfully pro-active site to be a part of.